Family photos are very important to many people, but they can also represent a unique challenge for storing. Obviously, you’ll want to protect your photos from damage as effectively as possible. But you’ll also want a way to look at or display your pictures as easily as possible. Photo albums can be a happy medium between these two needs, but they’re far from perfect. If you want to try something different, here are three other ways to protect and organize your family photos. Gallery walls are a new - and awesome - trend in interior design. They take a wide variety of prints, pieces, and photos and put them together on a wall in an aesthetically-pleasing way. Gallery walls are a great way to decorate your home’s walls easily and beautifully. Intimidated by the idea of putting the pieces together? Don't fret! Here's how you do it: first, pick a style or theme. Then, buy some frames for your pictures. Lay those pictures out to get an idea of how to arrange them, and then start hanging them up. With a gallery wall, you can protect your family photos and look at them whenever you want, too. Scrapbooking is placing photos and other decorations inside of books with blank pages. Scrapbooks aren’t the same as photo albums, because scrapbooking uses additional embellishments and creativity to elevate the album. Scrapbooks are a great way to organize your family photos for a number of reasons. First, it lets you make your mementos even more special by adding your personal touch. Second, by placing the photos using special mounting strips beneath plastic, you’ll be keeping them safe, too. Gallery walls and scrapbooks are great, creative ways to protect and display your photos. If you’re not necessarily interested in displaying your photos, however, then there are more effective ways to protect them. 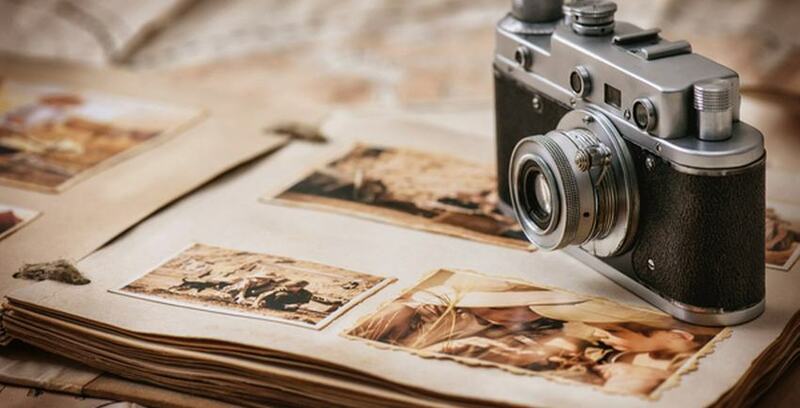 If your photos are very old, delicate, or already damaged, then storing them somewhere safe might be the best answer. When it comes keeping your photos very safe, a climate-protected storage is your best option. Climate control protects photos from all kinds of wear and tear, including discoloration, moisture damage, fading, or dust. When it comes to protecting your photos in the long-term, climate-controlled storage is the way to go. If you need a safe place to keep your photos where you can be sure they’ll stay pristine, don’t hesitate to call Storage Direct. We’re always happy to keep your photos safe, so you can look back on them for years to come.